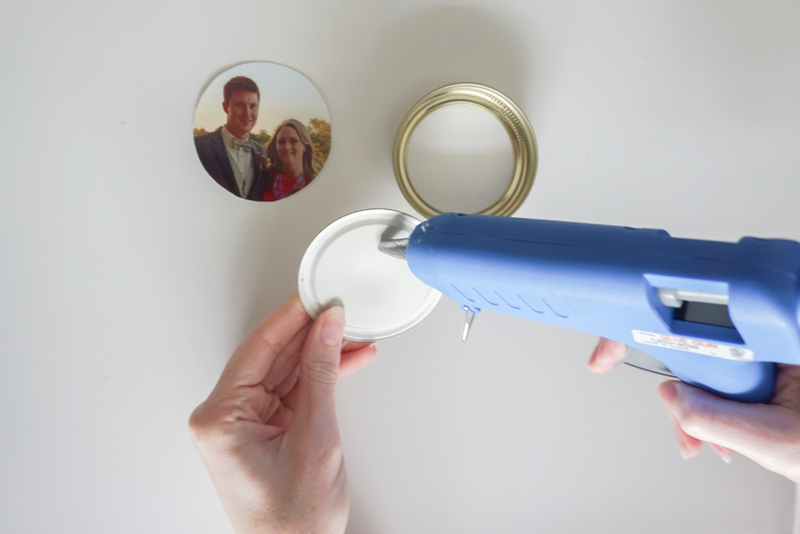 Mason Jar Lid Magnets - DIY Photo Magnets! 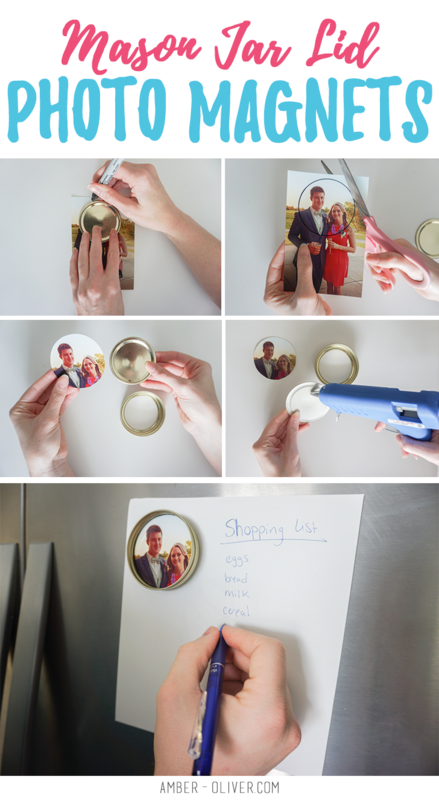 Mason Jar Lid Magnets – DIY Photo Magnets! Mason jar crafts are all the rage right now! 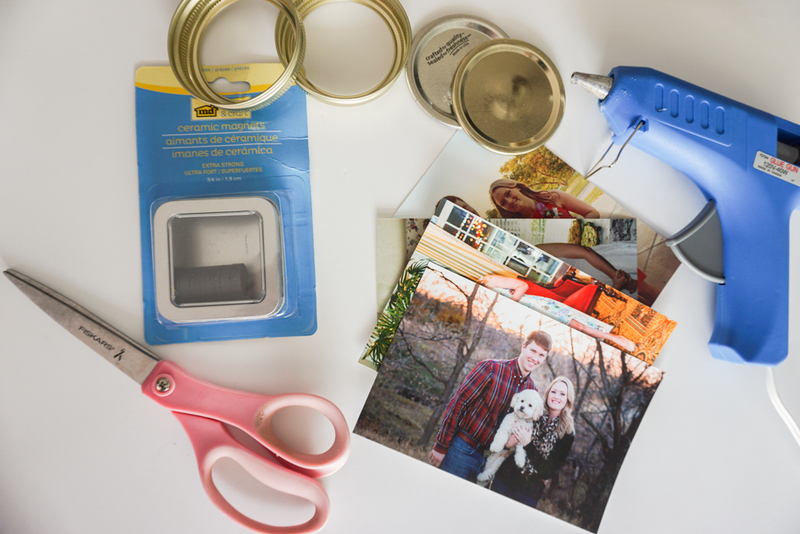 If you jump on Pinterest, you’ll find tons of crafts that use mason jars, but not a lot that use the lids. I made mason jar lid magnets out of old lids that I had on hand in my craft room. 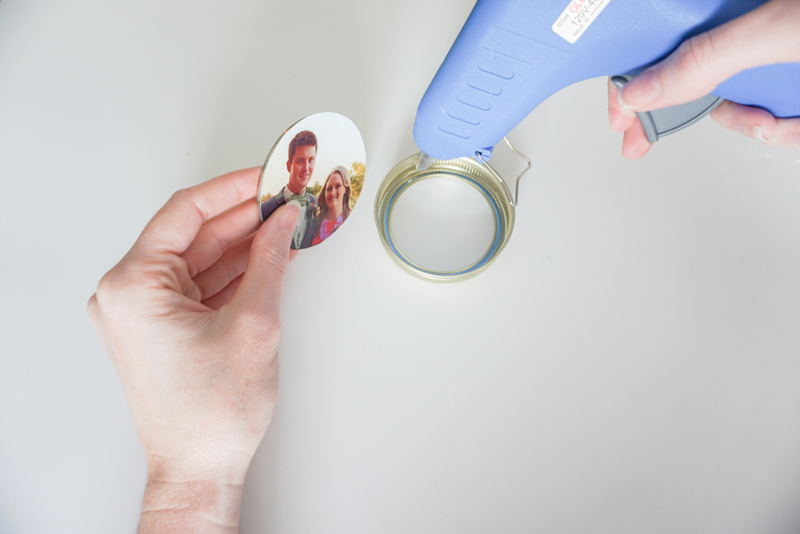 This summer I made cute fruit themed mason jars and had a bunch of lids left over – they became super cute DIY photo magnets! 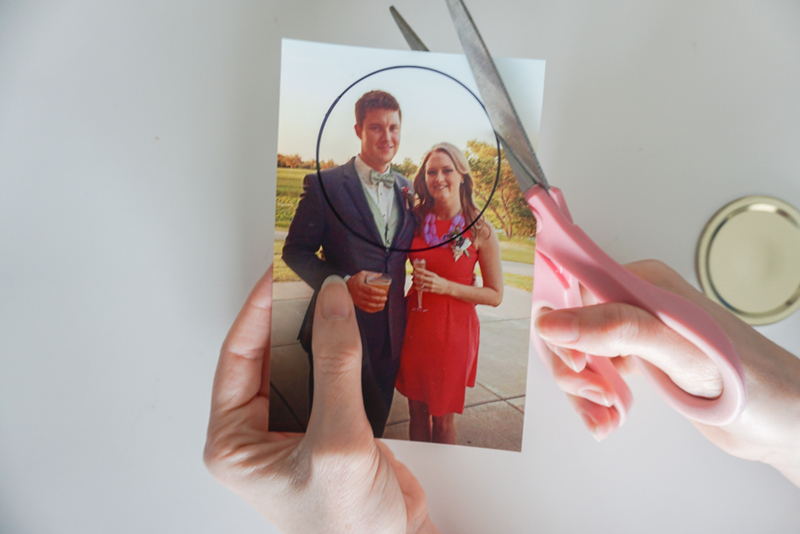 For this project you’ll need some 4×6 photos (this size usually works best) and you’ll specifically need photos that have the subjects in the middle with mostly background around them. You’ll see the photos I used are not focused too closely on faces and have enough background so that you can cut out the faces for our photo magnets. 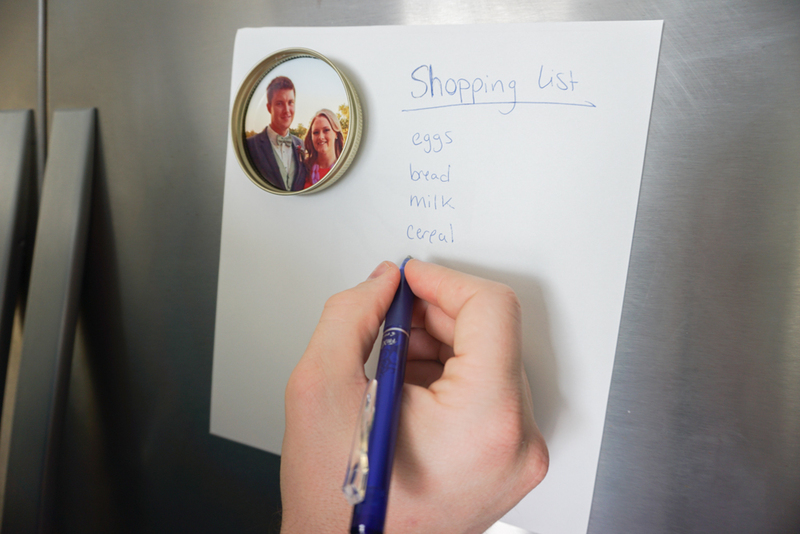 You’ll need photos, mason jar lids , magnets , glue , scissors , and a marker. 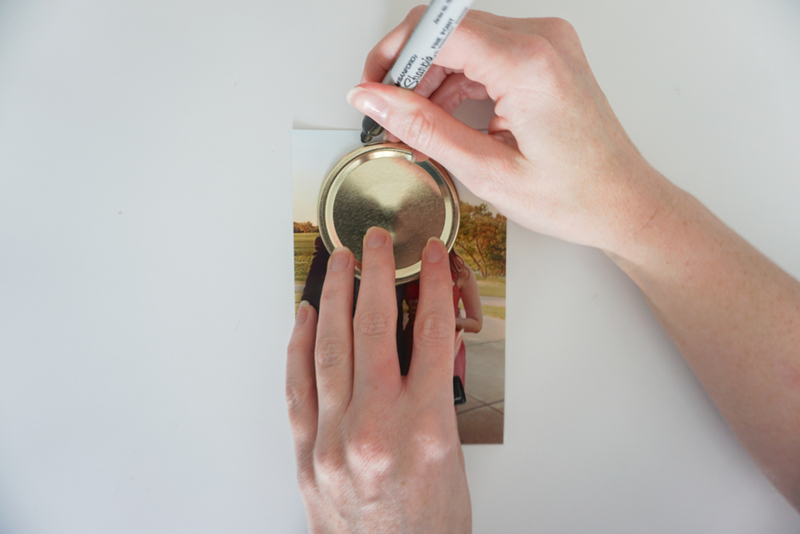 Step 1: Use the inside piece of the mason jar lid as a guide to help you select photos. You want to make sure your subjects fit inside the circle! 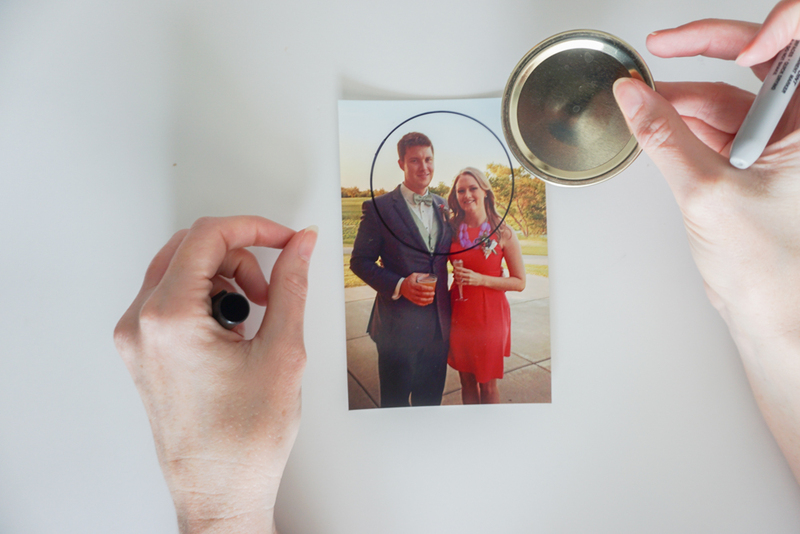 Trace around the mason jar lid onto the photo. Step 2: Cut out the circle you’ve drawn. 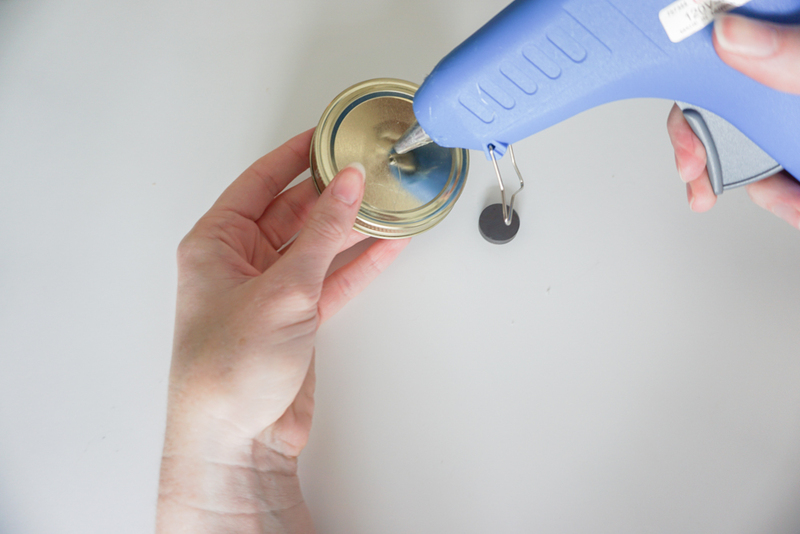 Make sure you cut on the inside of the circle so you have a snug fit inside the mason jar lid – if it’s too big you’ll have to trim all the way around to make it fit! 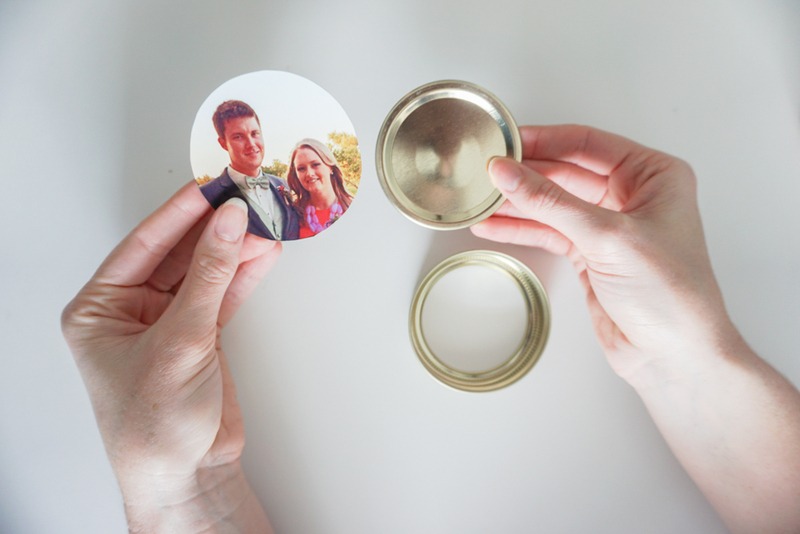 Step 3: Glue the photo you’ve cut to the circle that goes inside the mason jar lid. I used hot glue and the first time I applied it I didn’t put the photo on quickly enough and it dried – so move swiftly after you’ve applied the glue! Alterntively, you could use another type of glue but you’ll have to wait until it dries to move onto the next step. Step 5: Glue a magnet on the back. 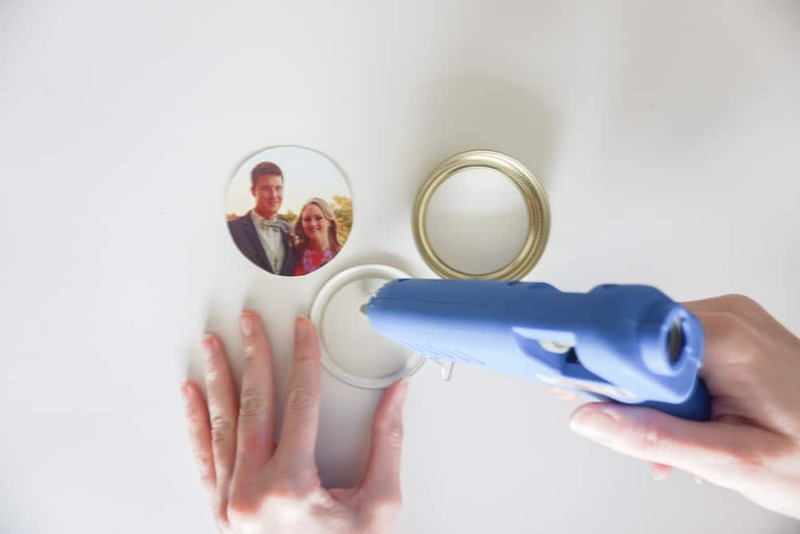 Now you can hang up your mason jar lid magnets!